It’s supposed to be cosiness. Think wearing cashmere socks and an oversized cardigan on a comfy couch, with massive soft cushions and a sofa blanket, a blazing, crackling fire, dim lighting and natural interiors. That’s hygge. If I were to hygge this column, I’d wrap it up so it’s all toasty in natural fibres and pass it a hot drink. If I was to put a picture with it, it would be of a pair of hands holding a steaming cup of something. I hadn’t heard of hygge until Sky News told me it was one of the words of the year, and that it was a concept – a Danish one loosely connected to the English word “hug”, meaning to cherish yourself. Not a noun, as such, and not an adjective. More a feeling. How do you pronounce it? Well, that’s nearly an entirely separate news item. Hi-geh? Hue-ga? Hih-geh? Hoo-ga? Depends on whether or not you have Danish friends or you believe the pronunciation guide on Google. The average Dane apparently aims for hygge three times a week. Somewhere in this concept is watching Scandinavian noir box sets. Can someone please explain how watching box sets about gruesome murders is cosy? Either way, it sounds to me like another fad to get you to buy more stuff, to fit a lifestyle. It’s straight from the same stable of mindfulness and yinging your yang with your zen. There are nine or so books on hygge being flogged as stocking fillers this Christmas. Candles, mugs, blankets, clothing. All will give you that feeling – as well as the feeling of a lighter wallet. At the very least, it’s pushing you to finally light that Jo Malone candle. Why have the Danes got the claim on this? We’ve been hygge-ing in this country for decades, we just didn’t label it. Aran jumpers, turf fires, rain battering against the window and a hot port. The weather is our favourite topic, and one of our most treasured possessions is the electric blanket. Generations of families have been snuggling up on the couch to watch the Late Late Toy Show for years. There couldn’t be anything more hygge than that, surely. OK, that’s a little idyllic. How about tracksuit or pyjamas. Even ga-jamas (going out pyjamas) and committing mass carbicide? Eating a shepherd’s pie or a big bowl of buttery mash. Or milling through a pile of toast. Or is that just middle age? Your DNA post-40 or post-kids means you’d much rather sit on a couch with a few glasses of wine than head out in fabulous, uncomfortable clothes. There are some things I’m with hygge on. Getting rid of things that are disruptive and annoying, like loud ringtones on phones and constant swiping and checking of apps. Leave it in your bag. It does seem to me that hygge must vary by income and class. 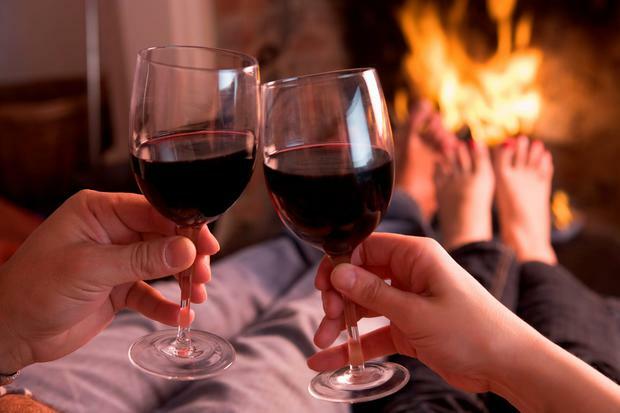 For some, hygge is a shiraz with soft jazz – people who might look down the nose of the hygge groups that drink beer while watching the match. Therein lies the success of these new terms. The ability to create uneasiness and social panic and fomo that you’re not hygge-ing the right way, or the way you do it is a little distasteful. Creating uneasiness rather than cosiness. How unhygge of hygge.